Using plug-ins in Elvis 6 involves installing them in Elvis Server and subsequently activating them. When they are temporarily not needed anymore, they can be deactivated. This article describes these processes. Plug-ins contain custom functionality and are typically created whenever the need for that functionality arises. To get you started, various sample plug-ins are available. For more information, see Elvis 6 sample plug-ins. This folder and its contents are available after Elvis server is started for the first time after installation. The path to the plug-in folder must be identical on each node in the cluster. active All currently active plug-ins. active/internal All default internal plug-ins. disabled All plug-ins that should be (temporarily) disabled. plugin_base1 The shared plug-in code base. 1 Do not make modifications to the plugin_base folder; it is completely overwritten each time Elvis Server starts. 2 See Elvis 6 sample plug-ins. Sample Panel plug-ins for the Pro client are available in the Integrations & Samples section on the Help Center (log-in required). Tip: Create subfolders to group or categorize plug-ins. schedule. For Scheduled plug-ins. For information about the configuration file, see Elvis 6 Schedule plug-ins - configuration settings. action. For Action plug-ins. For information about the configuration file, see Elvis 6 Action plug-ins - configuration settings. panel. For Panel plug-ins. For Scheduled plug-ins. For information about the configuration file, see Adding custom functionality to the Pro client of Elvis 6 by using Panel plug-ins. plugin. For API plug-ins. For information about the configuration file, see Routing API requests through Elvis 6 using API plug-ins. After installation, a plug-in needs to be activated. Step 2. From the menu, choose Plugins, followed by Scheduled plugins, Action plugins, Panel plugins or API plugins. Figure: The Action plug-ins page. Step 3. In the top right corner of the page, click Scan Elvis Server for plugins. Step 4. Verify that the added plug-in is listed. 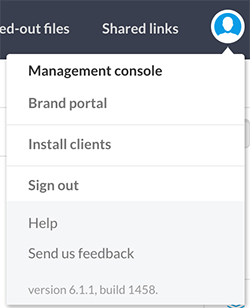 In case a warning or error icon is shown, click the plug-in for more details and resolve the issue. For those plug-ins in which a requiredRole is defined (such as Action plug-ins and Panel plug-ins), user access to these plug-ins needs to be controlled by setting up the Capabilities for a user or user group. When a plug-in is not needed anymore, it can be deactivated. Step 2. Access the Management console. Step 3. From the menu, choose Plugins, followed by Scheduled plugins, Action plugins, Panel plugins or API plugins. Step 4. In the top right corner of the page, click Scan Elvis Server for plugins. and verify that the removed plug-in is not listed anymore. 8 August 2018: Renamed from 'Elvis 6 plug-ins introduction - management'. 8 August 2018: Added section 'Controlling user access'.